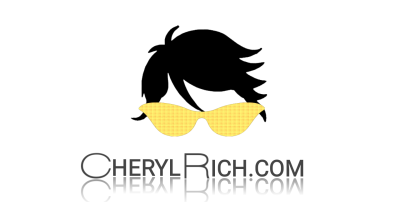 Cheryl Rich is a reality TV personality and executive producer who principally collaborates with Doug Deluca of Jimmy Kimmel Live. She is also a seasoned public speaker and founder of Self-Acceptance Academy. For over a decade Cheryl has volunteered hundreds of hours with other non-profit organizations. She has been a board member of the Pico Youth & Family Center and was the Director of Community Outreach for AIM4theHeart. Cheryl is an “Oprah-like” psychologist for those in desperate situations. Pain does not discriminate, therefore whether she is conducting therapy for at-risk youth or white-collar housewives. Cheryl has the uncanny ability to provide much-needed hope to the hopeless. Cheryl has facilitated therapy sessions within churches, foster homes, drug rehabilitation centers, juvenile halls, and prisons. She was pregnant at 11 years old. Her only child, Eric, was killed in a car accident two months before his 19th birthday. After a treacherous journey through drug addiction, incarceration and a “self-made-hell,” Cheryl rose from the ashes with brutal courage and fierce determination to overcome some of life's most mind-shattering tragedies. After many years of self-exploration Cheryl completed a master’s degree in clinical psychology from Antioch University. She is a certified Intervention Specialist and licensed Victims Assistant Mediator. Cheryl’s nonconventional therapeutic technique literally meets people where they are. Today she relentlessly guides others from mental imprisonment to liberation and from self-hatred to self-love. A quote by the author Og Mandino has become Cheryl’s personal mantra: "I am here for a purpose and that purpose is to grow into a mountain, not to shrink to a grain of sand. Henceforth, I will apply ALL my efforts to become the highest mountain of all. And I will strain my potential until it cries for mercy."